Map showing location of Montana located on the world map? 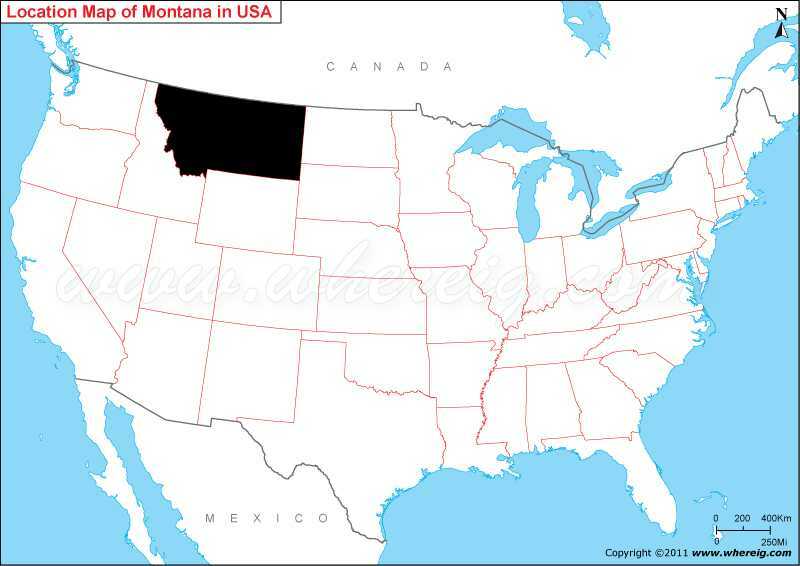 The given Montana location map shows that Montana is located in the north-western part of the US. Map of Montana also shows that it shares state borders with North Dakota in the east, South Dakota in the south-east, Wyoming in the south, and Idaho in the west. Montana map also illustrates that it also shares international border with Canada in the north. Geographically, Montana comprises various mountain ranges along with Rocky Mountain Range. Interestingly, the state name i.e. Montana is derived from Spanish word montaña meaning mountain. Besides, it has also some of the common nicknames, such as - "The Treasure State," "Big Sky Country, Land of the Shining Mountains, and The Last Best Place. Surprisingly, the one of the sparsely populated Montana states receives millions of tourists every year. Some of the most visited tourist points are Glacier National Park, the Battle of Little Bighorn site, and three of the five entrances to Yellowstone National Park. The climate type of Montana is semi-arid and continental climate.